– can you buy clomid privately my company Tendinopathy (or tendinosis) may be the more appropriate diagnosis. A few weeks ago, the family and I enjoyed a weekend in Hollywood Beach, Florida. I decided to sit and not move for a few hours appreciating sunny South Florida (I may have indulged in a couple well-deserved adult beverages too). My only regret was my chair choice…a lounge chair. I’ll admit it: I’m a hypocrite. Sitting in a lounge chair, La-Z-Boy, or any recliner for an extended period of time is what I advise my patients NOT to do. The inevitable occurred, of course, and my lower back has expressed its “anger” for the past two weeks. Why Are Lounge Chairs Evil? 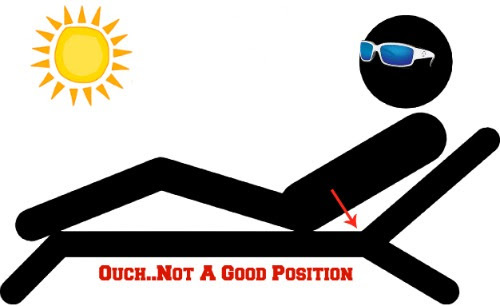 When laying in a reclined position, a gap is created between your middle back and your bum allowing your lower back (lumbar spine) to slouch down. You then lose your core’s ability to do its main job — to stabilize the lumbar spine — and damaging sheering actions occur between the vertebra. This mechanism is called “creep.” The majority of the time your body does not approve of this damaging position and will respond by causing soreness and pain. 1. Do not sit in a lounge chair, La-Z-Boy, recliner for more than 20 minutes at a time. 3. If you do experience discomfort, seek chiropractic care, posture correction, Graston and Active Release Technique. 4. Core engagement exercises. The video below is called the Pallof Press. It activates your core muscles (specifically your obliques) by resisting the rotational forces being applied to your body. A long muscle located behind your shin bone (tibia) is called the Tibialis Posterior. 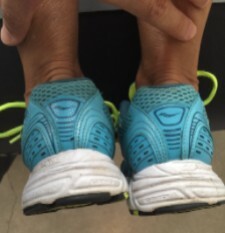 Its purpose is to move your foot down (plantar flexion) and in (inversion). From repetitive stresses such as walking, running, jumping this muscle will develop tiny tears called micro-tears. Scar tissue will then form to heal the area; however, it can bind tissues together resulting in restricted function of the affected muscles. As a result referred pain can be felt in the knee and/or the ankle. Could This Simple Addition Eliminate Many Chronic Discomforts? One Of My Legs Is Shorter Than The Other?! Laughter and confusion are the common reactions people have when I inform them they have one leg shorter than the other. Yes, it’s funny; however, it may be the most important examination finding. Living in a house that is built on a slant may not be the most comfortable for the person residing in that home. Unless you even out the foundation, the problem will not be fixed. The same concept applies for certain load-bearing joints in your body. If your foundation is off, then there is a good chance your body will express its anger by sending pain signals. Therapies may temporarily help but will not address the main cause. Why Do I Have a Shorter Leg? The only definitive way to get an exact measurement of one’s leg length is by getting an entire lower body x-ray called a scanogram. Since this type of x-ray is complex to perform, checking your feet is a simpler method that can determine if there may be an imbalance. Lay on your stomach and have a friend or family member push your shoes together. Look to see which one is shorter. Again, this not definitive but it works. Chiropractic adjustments, manual therapies (Active Release Technique and Graston) and correct exercises are my top tools for a solid treatment plan. For chronic structural conditions I have more tricks up my sleeve. To level a person’s foundation, I have been prescribing sole and heel lifts — a shoe insert that is placed in the shoe of the shorter leg. I must admit that I didn’t recognize heel lifts to be beneficial until I started to experimenting with them. 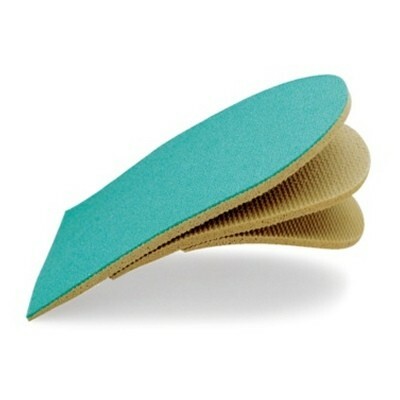 In fact, one of the first patients I fitted for a heel lift was a triathlete with chronic sciatica pain of several years. Remarkably, within two weeks of using the lift, her sciatica pain subsided significantly and she was able to run pain free for the first time in years. This simple and inexpensive addition to your shoe maybe what’s needed to resolve any chronic pain discomforts. Get evaluated for heel lifts at New Path Chiropractic! Waking up with a stiff neck is an unfortunate, yet common, occurrence that can be extremely frustrating. The good news is that it usually resolves on its own; the bad news is that it can take up to 3 days to completely disappear. Who wants to wait that long? Below are a few exercises to help speed up the recovery process. Gently push on cheek bone to help turn your head, rotating your head slightly past where it feels comfortable. Hold for 2-3 seconds. The benefits– Increases circulation, reduces blood lactate acids, relieves muscle swelling and soreness.